All the men attending St. John's are invited to be apart of the Men's Ministry. They have a monthly breakfast with guest speakers, weekly prayer group and many sporting events including softball and basketball. The Men’s Ministry also assists with special events, golf tournaments and our annual rummage sales. Through their fundraising efforts, they are able to help support the Davis family in the Philippines, the Wooster working in Siberia and many of the churches other needs including the children and youth ministries. Join the Men for breakfast. They feature different speakers each month. All Men are welcome. For Inquires: Contact Jerry Cauley 941-922-4142 or Randy Randolph 941-706-1339. Your support of this programs is prayerfully requested. 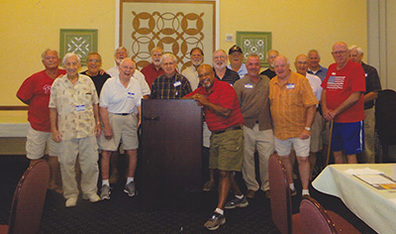 Photo: Group photo taken at our UMM Breakfast on Saturday, July 9th at the Der Dutchman Restaurant. Pastor Jaime was our main spokesman at this Breakfast and his comments were very thoughtful and appreciated by all. Sunday nights @ 6:00 p.m. 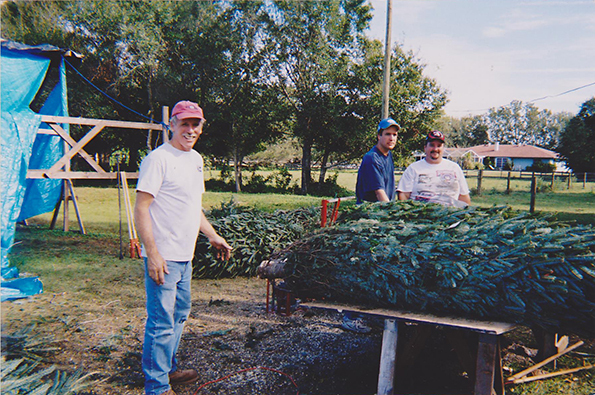 The Christmas Tree Project is the largest fundraiser that the Men’s Ministry coordinates. Through this huge support of love and endless time, they are able to maintain their mission projects and groups. 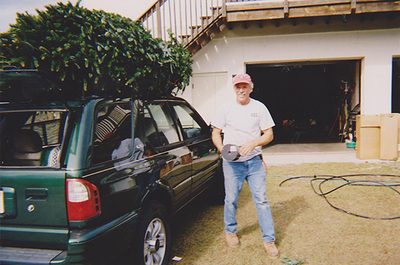 This project requires many people to make it run smoothly from unloading trees, preparing the trees for the stands, watering them, loading them onto cars, working the cash register and even delivery when necessary. This outreach begins the Friday after Thanksgiving and runs until the middle of December or they sell out of trees. 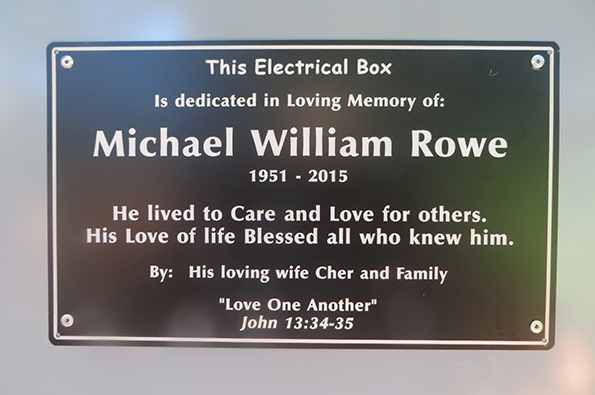 The Men's Group is so appreciative in accepting this Memorial Plaque on our new Electrical Box at the Tree Lot. It is in honor of our good friend Mike Rowe. The funds for this box came from Cher and the family. We are so grateful to have this remembrance of Mike who spent so much of his time making sure the lights were on so we could experience a great tree sale which proceeds have helped so many people over the years. Photos courtesy of Bobby Whitley. To learn more about the Davis and Wooster families, please see our Mission page and check out their blogs.